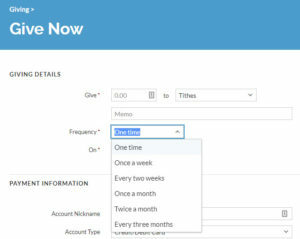 If you're a regular member and have registered through Realm, you can setup recurring giving on your schedule. Click "Give" and fill in the amount, where you'd like the gift to go, the frequency and payment method. The payment method can be saved for future use. 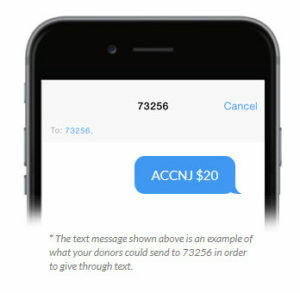 If you have a Venmo account, you can simply use "ACCNJ" to give through the Venmo mobile app. If you prefer to give with cash or check, those options are always available during service. Please make checks to "Arcola Covenant Community".